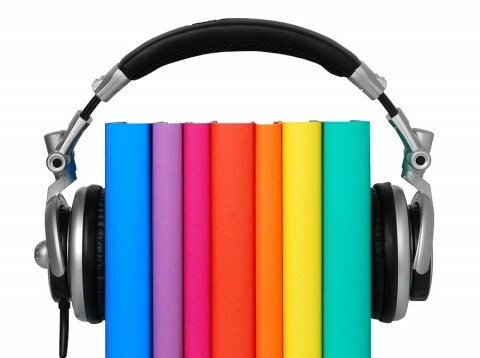 Home / Credit Repair Blog / The Best Podcasts & Books For Your Credit! The Best Podcasts & Books For Your Credit! The Credit Repair Show: Available via Player FM, this podcast is dedicated to how important it is for consumers to have good credit. It also offers several plans for credit improvement, including some that are designed to help raise a credit score by 100 points or more. Planet Money: This NPR show is all about money and wealth management, and several episodes cover credit score-related topics. Episodes drop regularly, so there’s always new information to take in when it comes to your finances. Listen Money Matters: This podcast doesn’t focus on credit as much as it does personal finance. However, how you manage your money and juggle your finances can play a big role in how your credit score looks. Realtor’s Guide to Credit: Interested in improving your credit so that you can get a lower interest rate on your mortgage? This is the five-part podcast for you. Money for the Rest of us: Host David Stein covers all aspects of personal finance and how to achieve the illusive financial freedom. Raise Your Credit Score in 10 Easy Steps: This book by Angel Love focuses on sharing strategies to help consumers raise their credit score. How to Get Out of Debt, Stay Out of Debt and Live Prosperously: Debt management is a big part of boosting your credit score, but many consumers feel like they’re swimming upstream. This book by Jerrold Mundis is designed to help consumers get out of the red and into the black. The Spender’s Guide to Debt-Free Living: Don’t think you make a lot of money and therefore can’t get out of debt? Think again. Ex-blogger Anna Newell Jones wrote this book about how she eliminated more than $23,000 worth of debt in 15 months, all while making less than $35,000 a year. 33 Ways to Improve Your Credit Score: As the book’s title implies, this book includes tips on credit repair. Some of the tips shared by author Tom Corson-Knowles are instant. Credit Repair Kit for Dummies: Are credit scores and credit reports a foreign language to you? Then this could be the book for you. This book explains everything from how credit reporting works to specific steps on how to repair credit. To end this post with some exciting news, our very own Nikitas Tsoukalis (Owner and CEO of Key Credit Repair) recently released his very first book: Opening Doors: A comprehensive Guide to great credit scores that anyone can use. get your copy today on Amazon!